When a fashion girl turns 30, it should be celebrated with style and glamor. 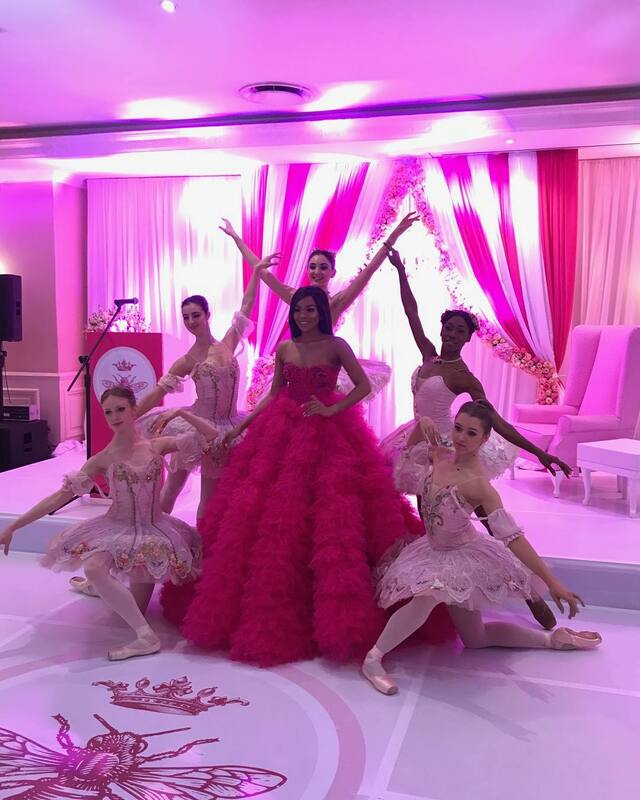 SA media girl Bonang Matheba celebrated her birthday with a star-studded event last night, in the company of no other than Nomzamo Mbatha and her bae AKA among others. 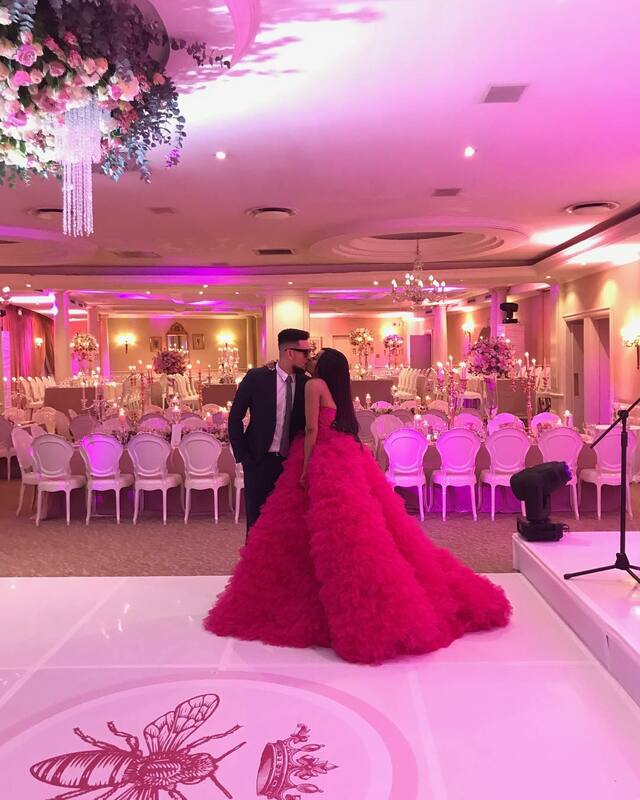 Wearing a jaw-dropping, flounced organza strapless ballgown from Gert-Johan Coetzee, she made sure all eyes were on her, and we just loved the romantic hue of the ensemble. 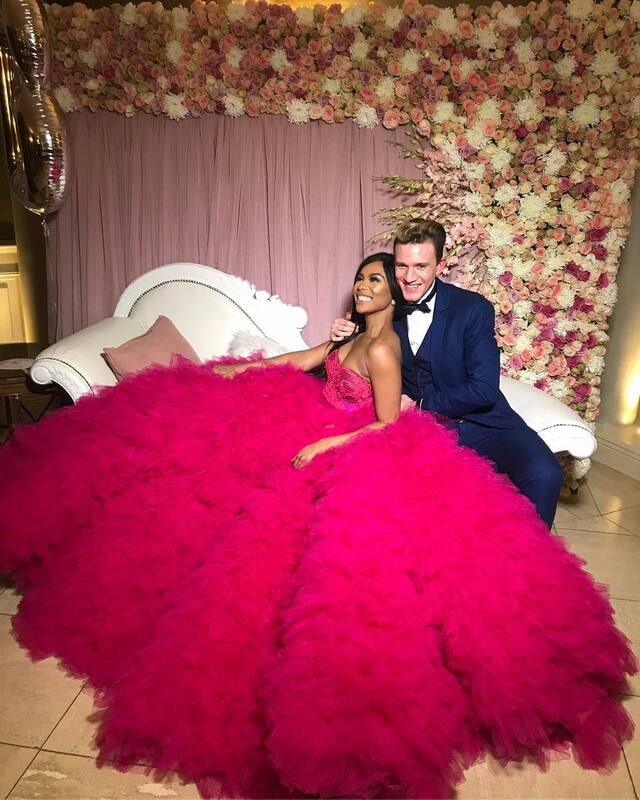 If you have a glamorous coming up, go for a rose pink magenta like Bonang and you’re guaranteed for all eyes to move in your direction all night. Keep the accessories to the minimum to let the dress do the talking.